What is the NCQLP Standard of Conduct? Who is the NCQLP Board of Directors/Council Members? What is the value of the LC to me? What is the LC Appellation? What is the format of the Lighting Certification Examination? How was the examination created? Am I qualified to take the examination? What will the examination cover? The NCQLP is a non-profit organization founded in 1991 to serve and protect the well-being of the public through effective and efficient lighting practice. Through a peer-review process, the NCQLP establishes the education, experience and examination requirements for baseline certification across the lighting professions. Download the NCQLP LC Candidate Handbook. The NCQLP Standard of Conduct appears on this page. The Scope of Practice appears on this page. LC means Lighting Certified. The NCQLP has established a certification process by which practitioners in lighting and related fields, through testing, demonstrate their knowledge and experience across the lighting professions. The LC credential demonstrates to clients/customers and your peers that you have acquired the necessary knowledge, understanding, and ability to apply lighting principles and techniques successfully. The LC indicates your commitment to career development and professional practice. The LC acknowledges your broad knowledge base in an increasingly specialized practice making you a valuable asset to not only your company, but also the industry as well. 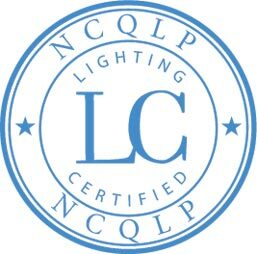 Those who successfully complete the NCQLP Lighting Certification Examination are entitled to use the appellation, LC (Lighting Certified), after their name for professional purposes. The LC examination is a four hours, two-section examination. There are 180 multiple choice questions, 80 of which are a series of job related case studies. NCQLP volunteers who are lighting specialists work with the testing agency PSI to develop the annual examination. If you hold a bachelor's degree from an accredited college/university and have three years of lighting-related experience, OR have a total of six years of lighting-related work experience, you are qualified to sit for the examination. What does the examination cover? The specific content areas have not been finalized for the 2019 exam. Information will be availabe in late March 2019. Early Application Deadline (by August 14, 2019) $575.00, Final Application Deadline (by September 19, 2019) $675.00. The 2019 LC Candidate Handbook, including all application materials, may be downloaded from the Publications & Forms section. Are prep/review courses available for the exam? NCQLP does not provide a course in preparation of the LC examination, however, other organizations may be developing one. Who are the NCQLP Board of Directors/Council Members? This page lists the Board of Directors/Council Members.